Perhaps this thread should be closed? 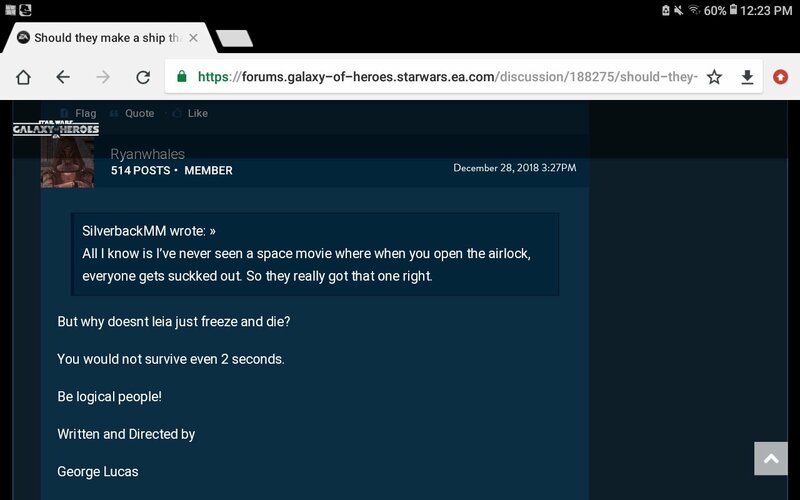 Well it isn't actually true that you would freeze and die instantly in space. You have about 15-20 seconds of usable consciousness and it takes about 1 minute before you suffer any permanent damage. As for the freezing part it actually takes you a long time(hours) to freeze in space because it is a vacuum which means that there is no heat loss through convection. The only way you lose heat is through radiation which is a slow process. If you were in the sunlight then you would actually cook rather than freeze. No. I was watching a video with an astronaut on youtube, he was saying that if you were to remove your space suit (also depending on distance from the star) one side of you would instantly burn and the other would freeze, your lungs would collapse instantly and your blood would boil. 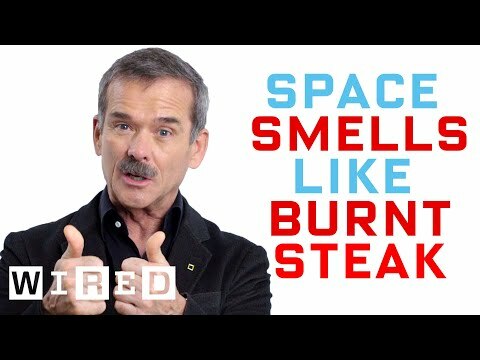 So according to one of NASA's own astronauts, you would indeed instantly die. Your blood boiling comes from the lack of pressure in space reducing the boiling point of your blood. But your point does make sense, I always felt that the leia scene was to demonstrate her strength in the force to heal herself while in a perilous situation. There are so many better ways to show that Luke was training Leia for a brief period of time. Honestly, it would've been better to have killed Leia off, but in a more honorable death. That would make things more tidy due to Carrie Fishers passing. I was referring more to episode 9 and the recycled footage that will be used to portrait the character one last time. I was hoping that they would tastefully end the character in 8. Well he obviously doesn't know what he is talking about then. Just because he is an astronaut doesn't mean he actually knows what happens since he obviously hasn't experienced it himself. It takes about 90 seconds to die. this is the video I watched. Realistically, whether it is instantaneous or 90 seconds, dead is dead. Funny that this thread is still going - but all the plot issues and arguments aside, the real problem is that TLJ is just a boring movie. It's possible to explain away a lot of the plot issues, but at the end of the day the movie just isn't that entertaining. I did enjoy the last 30 minutes, for what it was worth. There's quite a few plot issues that really cannot be explained away, its a terrible star wars movie and you are right - a boring one at that. Much like the major plot issues in each Star Wars movie. But hey. Confirmation bias, right? * Rey's power is that of the light to balance Kylo of the dark - if the force could balance itself this way, what was the point of Anakin's prophecy? Furthermore, Kylo continues to struggle with the light and to stay dark, so how dark is he? Yet Rey can flirt with the darkside and is never touched or damaged by it at all. * Rey is a Mary Sue - Yet the power of Anakin's prophecy was explained, as is with Luke - both Anakin and Luke had multiple failings, where Rey has 0. * Rey remains very much "untrained" yet she seemingly does anything she wants with no training apparently required. * Holdo Maneuver is certainly lore breaking. * Holdo keeping plan of action (allowing multiple Resistance ships and personnel perish for no reason. While keeping Poe in the dark for no good reason. * Canto-Bite plot line is absolutely pointless to the story. * Master code breaker is not hired - only guy for the job! But hey, they found another guy just like that. * Tracking through Hyperspace - stated as impossible, but then quickly accepted. There is more I am sure, these are just off the top of my head. What are the major plot issues with the other movies? I can think of a few collectively, but not as many as in TLJ alone. I'd like to hear your list on that. * Luke will save a murdering sith lord father but is happy to think of murdering his innocent nephew Literally left Dagobah early to save his friends and kill Darth Vader. On the advice of Obi Wan. Yet took several years in between to better master his emotions and search for the remaining good in Vader. He's impulsive. Has always been as a character in the OT and it continues in this trilogy. He even admits he acted out of fear again and realized his mistake too late. He also never expressed joy about it. * Leia Poppins All Force Powers must fit into a pre-approved and pre-determined box or they are immediately bunk... Force lightning, Force ghost running (Ep 1 v Droideka), playing catch with Force Lightning (Ep 2 v Dooku), jumping incredible distances vertically and laterally(Anakin v entire PT), BASE jumping into flying cars with no injuries (see previous), the list continues. Featuring mainly junk that Lucas threw into the PT for us to Fan-gasm over how cool it looked. * Holdo Maneuver is certainly lore breaking. Where anywhere did it ever say you couldn't be an intergalactic Kamikaze pilot? Worked in WW2. Much like how Lucas based almost all the space scenes off of old WW1/2 dogfighting movies but set them in space... It's taking his original interpretation and intent and continuing to adapt it. * Holdo keeping plan of action (allowing multiple Resistance ships and personnel perish for no reason. While keeping Poe in the dark for no good reason. He's hot headed, doesn't follow commands, been demoted, caused countless deaths in the Dreadnought attack, but yeah, let's get him involved. * Canto-Bite plot line is absolutely pointless to the story. it's actually one of the first times the rebellion/resistance gets completely smacked down with one of their schemes. It's an utter failure in terms of saving everyone on the escaping capital ships. Also, it helps advance Finn beyond his FA story line of save Rey/get away from the entire fight. There's more to all of the war than just FO v Resistance. He also meets DJ who further shatters his illusions of good v bad, and taking sides, etc. * Master code breaker is not hired - only guy for the job! But hey, they found another guy just like that. Just because Maz didn't know about him doesn't mean there aren't other hackers in the entire Galaxy. And if you're a criminal/code breaker/hacker with a shady history what are the chances you WOULDN'T be in the richest city trying to possibly "earn" some money? Too much typing on my phone and that's all for now. The point is, if you want to, you can argue all day about the glaring or vague problems and plot holes in any of the 8 Saga movies so far. However; we're all entitled to our opinions. Cheers. Literally left Dagobah early to save his friends and kill Darth Vader. On the advice of Obi Wan. Yet took several years in between to better master his emotions and search for the remaining good in Vader. He's impulsive. Has always been as a character in the OT and it continues in this trilogy. He even admits he acted out of fear again and realized his mistake too late. He also never expressed joy about it. No he went to save his friends - killing Vader was not on his agenda, but knew the likelihood was he was going to face him and would not be a match for him. This also speaks to Luke's character about saving his friends and those he cares about - yet he does not care about Han's fate, fate of Leia and the Resistance or the galaxy in TLJ - out of character completely. All Force Powers must fit into a pre-approved and pre-determined box or they are immediately bunk... Force lightning, Force ghost running (Ep 1 v Droideka), playing catch with Force Lightning (Ep 2 v Dooku), jumping incredible distances vertically and laterally(Anakin v entire PT), BASE jumping into flying cars with no injuries (see previous), the list continues. Featuring mainly junk that Lucas threw into the PT for us to Fan-gasm over how cool it looked. Leia made the choice to not follow Luke and Anakin's path in the ways of the force - she did this with no training etc. Another point to be made here is that TLJ had the opportunity to kill of Leia's character when Fisher had already passed before the film's release - this is yet another a big hole and problematic for her return in any real capacity in E9. We essentially came into the end of the story with Palpatine in the OT - he was already the head of the evil galactic empire which was somewhat explained by Kenobi and then further fleshed out how he grew to power and overthrew the republic in the PT. The lore of the galaxy has been followed by fans for 40+ years - the galactic politics and light over dark was the win in ROTJ. We also know more about the lightsaide and darkside lore and know that palpatine would never have shared power with the likes of Snoke - so for Snoke to pop up out of nowhere without explanation is insulting to the lore of the galaxy as well as the overall story that fans are/were invested in. Where anywhere did it ever say you couldn't be an intergalactic Kamikaze pilot? Worked in WW2. Much like how Lucas based almost all the space scenes off of old WW1/2 dogfighting movies but set them in space... It's taking his original interpretation and intent and continuing to adapt it. Why was this not done on either Death Star? Han showed in TFA that a ship travelling at lightspeed could pass through a shield that would otherwise protect against laser fire, torpedoes, asteroids - usual bombardment as Gen. Veers would comment on the Rebel's shield on Hoth. So if lightspeed was possible to pass a shield - why wasn't this thought up and weaponized a long time ago - especially when faced with threats like the Death Star or even Starkiller Base itself for that matter? I would take it a step further by saying that the Interdictor Class Star Destroyer employs gravity well generators - the gravity generated stops or pulls ships out of lightspeed. The gravity of Starkiller Base would have done the same thing, thus preventing Han from flying through the shields as he did in TFA. It is unknown how much gravity was being emitted from Snoke's capital ship and possibly Holdo's maneuver could have failed on this point alone. He's hot headed, doesn't follow commands, been demoted, caused countless deaths in the Dreadnought attack, but yeah, let's get him involved. So you keep a high ranking person known to act impulsively in the dark about a plan where hundreds of people and ships being killed and destroyed is a part of said plan - and you don't think he may react impulsively about that? Why wouldn't Holdo gather personnel from the other ships leaving the ships to be destroyed to secure a larger escape? None of her plan makes any sense, none at all. it's actually one of the first times the rebellion/resistance gets completely smacked down with one of their schemes. It's an utter failure in terms of saving everyone on the escaping capital ships. Also, it helps advance Finn beyond his FA story line of save Rey/get away from the entire fight. There's more to all of the war than just FO v Resistance. He also meets DJ who further shatters his illusions of good v bad, and taking sides, etc. I am not saying parts of it were'nt good if the entire sequence had to be in the movie, but ultimately it was pointless - one of the longest if not the longest star wars movies to date. So much time wasted on Canto-Bite for a plot line that went nowhere, when other and more important plot lines fell short - such as Luke with Rey or even Capt. Phasma who again returns for minimal screen time just to get beaten by Finn - its a joke, a complete joke. Just because Maz didn't know about him doesn't mean there aren't other hackers in the entire Galaxy. And if you're a criminal/code breaker/hacker with a shady history what are the chances you WOULDN'T be in the richest city trying to possibly "earn" some money? Coincidence - written into the story for the sake of story development. Its just bad writing. Few in the entire galaxy had the skills to do what needed to be done and they just bump into one of those few out of an entire galaxy??? C'mon? I'll give you that - it just seemed like cheap story writing to me rather than something more entertaining suxch as a mole within the resistance - which would have explained Holdo's secrecy around her plan as well by the way. However you never did mention plot issues with the other movies (OT & PT), that you commented on. It's going to be interesting to see how 9 unfolds. Some think it will "Fix" TLJ's "mistakes". I have no hopes or expectations. Can't be let down. Well I never would have believed it, but there have been reports that TLJ is being rendered "non-canon". And will be considered "Legend". Rumors are they have done the math and seen how much it has cost them. and will cost them going forward. SW9 changes as a result of TLJ being removed from canon. Hahahaha - nice! If only it were true. You black and white son of a gun! Thought = action? Since when? He thought he could end all the galaxy's suffering in an instant of pure instinct, tainted by the Dark Side, which is like a drug - just because you don't fall completely under its temptation doesn't mean it stops tempting you, and he's the closest any Jedi has ever gotten to it without succumbing. Don't forget that he almost killed Vader, and it took him far longer to come to his senses then than it did with his struggle against Kylo. See? Progress. Luke, in part, created Kylo Ren through his own doubt, under his own aegis. What more could he do beyond that, teach him the same thing again? Go to him as Kylo's father did, cuz that worked out so well? The definition of insanity comes to mind. Luke closed himself off to the Force, which didn't allow him to foresee Han and Leia and the galaxy's fates, mainly to draw power away from Kylo, without realizing that Rey existed to counter that balance. I've explained this before. Why haven't you taken that into account? What kind of training is required for the Force to take over when preserving one's life? Her glide through space was instinctual, which is what Rey possesses in terms of her abilities. She's just further along the path by being a decades-long survivor. And how would killing Leia during that attack have served because Carrie's demise? If Abrams ever had a plan, it's that he stated Leia's necessary involvement in Episode IX: Woke Up, Got Out of Bed, I Dragged a Comb Across My Head. VII was for Han, VIII was for Luke, now it's Leia's turn. That you haven't seen IX doesn't cast a worrisome pall over all of it. That Abrams is a proven horrible closer, does. "When he's done with you, he'll destroy you." -- Han Solo, The Force Awakens. Snoke needs the heir-apparent of Darth Vader to be more powerful than himself. For what purpose, I give you my previously alluded theory from months ago. Also realize that Snoke and Rey share the same character flaw: they were both wrong about Kylo, which helps to inform his own character's arc as someone different from what expectation purports him to be. She got a boo-boo on her right shoulder... SACRIFICE! But it only shows how above paygrade she is compared to Anakin and Luke... which again is one of all the reasons why I don't count Disneyfilm as canon. Anakin was and should always represent the apex of the Force, monomythically speaking. The Saga is dead. Long live the Franchise instead. True this is still up for debate. But Johnson wrote TLJ and threw out all the set-ups JJ left for him. I assure you, Abrams didn't have a single clue about what he set up. He's Rear Admiral Mystery Box, after all, which is why I worry about him finishing what he started. He's an excellent opener, and a horrible closer (Lost, Cloverfield, Super 8, etc). Even Han didn't know it would work until it was already done. Why would such a plan ever be tried if no one was that impulsive to risk it? And even after, who would he have told to risk ramming a tiny snub fighter against an entire planet, as if that would make a difference? Interdictors are Legend/Expanded lore and barely have anything to do with the movies unless introduced, usually changing said lore when having done so. You'll just have to admit that all the books are made up fluff compared to the real deal: the movies. That's my problem with all the fan nitpicks, and they are merely that: treating a span of lost, tertiary canon as gospel. MEDICAL FRIGATE OFFICER: The rest of our crew has evacuated and heading your way! It's been an honor, Admiral! Godspeed, Re-! ... And that's my only major problem with the movie: the way it delivers vital information in such quickened succession, with heaps of relevant action to follow it, it renders the impetus inorganic. Another draft could've fixed this, but Disney only gave this movie half the production time of a normal Star Wars movie (the result of which is rather impressive to me). Canto Bight was meant to serve Finn (realizing something bigger than himself and his slavish dependence to Rey) and Rose's (realizing that something is bigger than her own slavish dependence for legends... Rey's arc as well) character arcs specifically. They were under a time crunch and "didn't come here to free slaves". The fathier escape was meant to aid their own escape. I had once thought that, but an online theory helped make sense of it: Justin Theroux wasn't really the master codebreaker, it was DJ all along. The red plum bloom was the code signifying that DJ was on the planet, but that it was taken from him when he was imprisoned. As far as conincidences are concerned, being trapped in the same cell as DJ is about as far as they go, but then wouldn't that be chocked up to the will of the Force working in mysterious ways? Granted, a mole sidestory would've been apt, but it was more about Poe learning how to be a leader, and Holdo's reluctance to trust him in the interim (she and Leia knew he could be eventually).